Great solution! I’m currently battling with the default setup of WFFM 2.5 and may have to go down this route! With the default setup, do you know if there’s a way to view submitted form data in the Form Reports as you would in previous versions of WFFM? I can’t find this option in 2.5 – has this been removed? I am not sure but i believe if you use MongoDB (but i have not tried this yet), you can use the forms viewer, as there are some extra tables added to the reports database by WFFM. Ok, thanks. I’ve got sc support looking at it – will let you know if I get any luck. is this module supposed to show the existing data from the SQL server DB when user view Reporting? After I installed this module, the reporting does not show the existing data from the older version of Webforms. The export to CSV works fine and does have the existing WF data. Hi Alan, I have a couple of questions on this. Is it possible to de-install the package/provider once we we are ready to use Mongo DB and run this upgrader: https://sdn.sitecore.net/downloads/WebFormsv7_25rev141014_DmsConversionPlugin.download on the data? Do you have any steps you can provide for the un-install? Thanks Alan, Could you confirm we can still use the DMS conversion plugin (link above) to export any data captured using the SQL Provider to Mongo? We are planning to use WFFM 2.5. 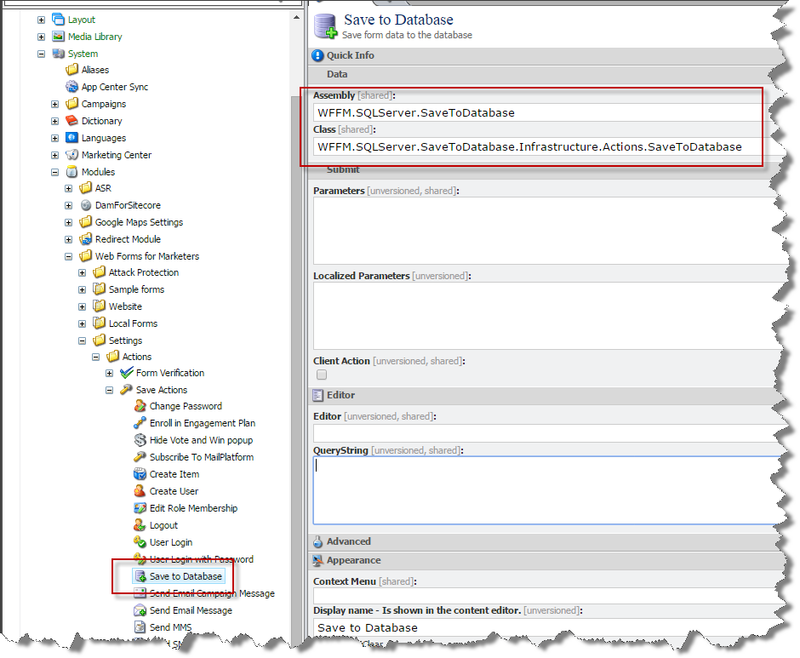 We are not using Sitecore Analytics (xDB) – it is disabled in our instance. Can we still use WFFM 2.5 with your module? We are on Sitecore 7.5 and I read in the documentation of WFFM 2.5 that Enabled experience analytics is a prerequisite for WFFM 2.5. Since you mentioned lot of your customer are not ready for MongoDB, I’m guessing they have analytics disabled and are using the WFFM 2.5 with your module. Just want to confirm if people are using WFFM 2.5 in prod with experience analytics disabled. you forgot to mention the database… where is the database or which DB from which WFFM version we can use? Hi All – has anyone tested this on version 8.0? Not yet as the majority of our customers that have moved to 8, have also moved to xDB, and therefore use MongoDB to store their fomrs data. Which database or table WFFM gets store? Though the Export To CSV functionality works great, however the current library does not support customization as all the classes involved are marked either internal or private and cannot be inherited. In our case our CMS server is shared for production and preview environment and we need to switch our connection strings while exporting data. For that purpose we required a bit of tweaking. We are upgrading from Sitecore 7.2 to Sitecore 8.2 and currently in process of upgrading to WFFM 8.2. 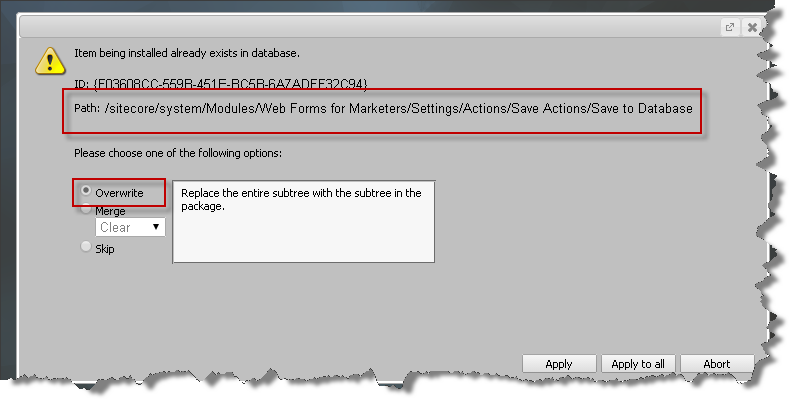 We are not using Sitecore Analytics (xDB) – it is disabled in our instance. We were using WFFM 2.3 with Sitecore 7.2 instance and everything was working as expected with SQL Server database. We would like to use WFFM 8.2 with Sitecore 8.2. Can we use this module in this implementation? I have not tried with 8.2, but I don’t see why it shouldn’t work.